Hello to you fellow pet advocate. Being Monday, I thought it would be nice to start with something light. 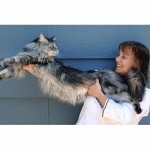 The World’s Tallest Dog Ever and World’s Longest Cat. that is a pretty tall dog for sure. Is it some sort of condition he has that he didn’t stop growing? 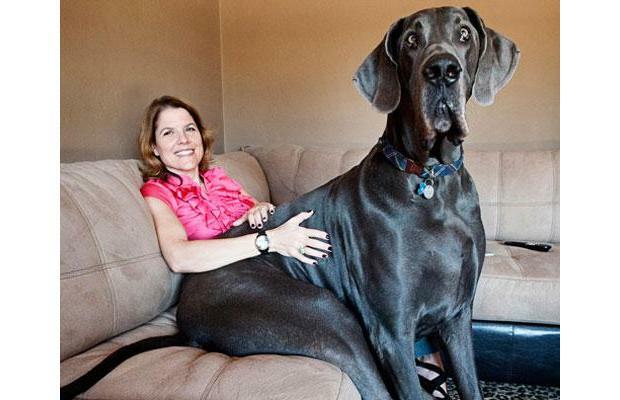 Talk about a LAP Dog. That is the reason you train your dogs to lay on “doggie beds”. 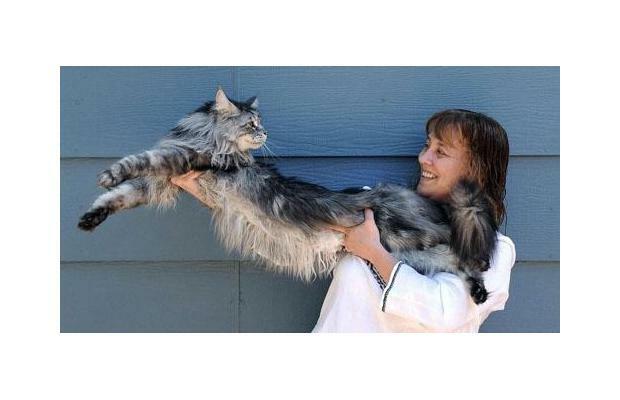 What are the statistics for both the tall dog and big cat? How much Ultimate canine formula is used for the dog? Is that dog for real?! Or is it photoshopped? Imagine him standing on your foot! I take care of a great dane though she isn’t quite that tall she and other danes I have cared for seem to inherit that character trait! They always want to sit on their peoples laps just like a child would but with their front legs on the floor. They also like sitting on a sofa or chair just like that big boy is doing and other folks always think it is a trick they have been taught but it is not. They just seem to like to sit like that! The angle the photo was taken at would make the dog appear much bigger than he actually is. He is closer to the camera lens. 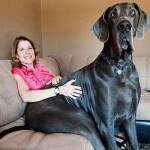 Not to say he isn’t a big dog, but the photo is deceptive. It would help if we had more info such as weight etc.